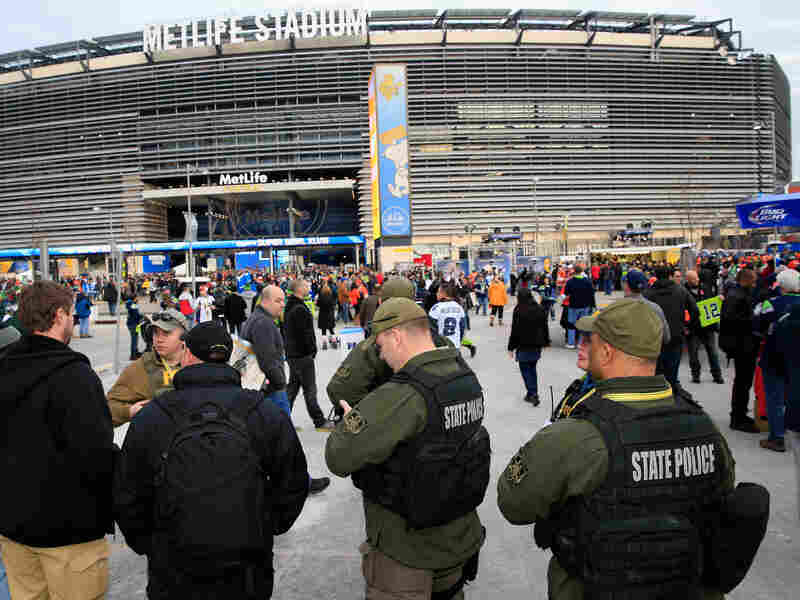 The Terrorism Risk Insurance Program guarantees insurance payments in case of a terrorist attack at places like shopping malls, big-city high rises, and events like the Super Bowl. A program that grew out of the Sept. 11 attacks became the very first bill to pass in the new Congress. It cleared the Senate overwhelmingly Thursday, a day after passing in the House. The Terrorism Risk Insurance Program — known as TRIA — guarantees insurance payments in the event of a terrorist attack, and it actually lapsed at the end of December. Shopping malls, big-city high rises and sports stadium events like the Super Bowl all count on this program — but critics call it a form of corporate welfare. TRIA was first enacted in the days after the Sept. 11 attacks, when the private market for terrorism insurance collapsed. The program guarantees the federal government and taxpayers will pay insurance companies after a terrorist strike, if the companies' losses exceed $200 billion. Republican Sen. Michael Crapo of Idaho, the new chairman of the Senate Banking Committee, called on the Senate to pass the measure "in order to protect taxpayers and limit the economic and physical impact of any future terrorist attack on the United States." The measure was approved 93-4 with bipartisan support. Democratic Sen. Charles Schumer of New York says the program benefits not only insurance companies, but individuals — "people who work in buildings, office workers, restaurant workers, those who work at shopping centers, sports fans, those who care about having new stadiums." The measure approved by Congress also contains an unrelated provision that changes the Dodd-Frank financial regulations in a way that Democrats say will protect some businesses at the expense of taxpayers. But an amendment sponsored by Sen. Elizabeth Warren of Massachusetts to remove that language was defeated. The government has not had to pay out any claims under the TRIA program. But Mark Calabria of the libertarian Cato Institute says based on "the tremendous amount of lobbying that has gone on around TRIA," industry believes it's getting "something of value ... from the taxpayer." Calabria notes the program was originally intended to be a temporary one, and that today's action in the Senate is just the latest extension, putting off a permanent solution. He suggests that insurance companies could approach the problem as they do with natural disasters in states like Florida. That state, he says, has set up what's called "citizens insurance," which covers homeowner's insurance for flooding and hurricane risk. He says several states most at risk of a terrorist attack — including New York, Texas, California and Illinois — could set up similar compacts, which he says would cover "90 percent of the terrorism risk that is out there." The measure approved today extends TRIA for another six years. Its passage was hailed by business groups. The Real Estate Roundtable called it "essential public policy" that will "aid job creation and support economic growth nationwide."